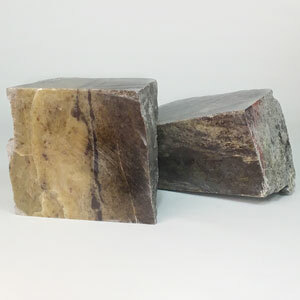 An incredible alabaster with a wide range of colors and texture throughout, which is the "wonder" of this stone. You’ll find veins of beige mixed with backgrounds of purple. Sections of amber and striations of yellow also run throughout the stone! A delightful stone for abstract work! Woody Alabaster - 4 lbs. Woody Alabaster - 8 lbs. Woody Alabaster - 10 lbs.